The fourth book in the #mirrorofeternity series explores such varied scenes as the realm of Arthurian legend and the dark hidden world of Satanism in the UK. "Joseph of Aramathea brought Christianity to these islands. He did not bring it in a bloody cup!" (Sir Gareth). A little blunt but to the point. 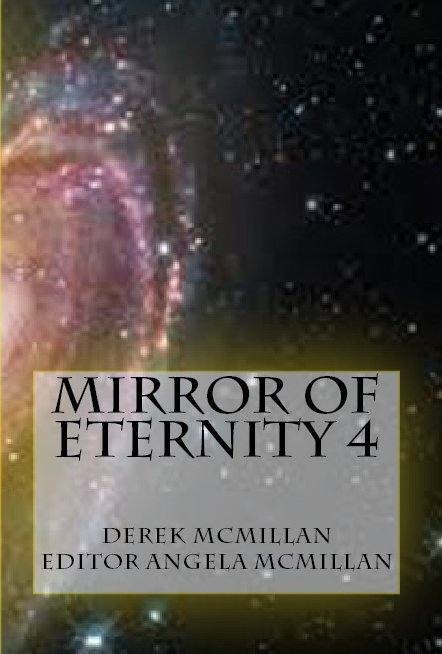 The Mirror of Eternity 4 gives a new take (Xavier's take) on what the sangreal was all about. It may surprise you. It will give Dan Brown a fit! So if you have ever wondered what the sangreal (or holy grail) really represented; if you have wondered what kind of horses the four riders of the apocalypse rode or whether there really was a top and bottom of the round table, #mirrorofeternity4 will answer your questions. From a certain point of view. This book will make you want to know more about the knights of the soi-disant 'round table' and about the Mirror of Eternity. It might make you want to avoid Satanism and Satanists like the plague. It will certainly intrigue you.